Venice Film Festival: Which films should you look out for? On 5th July 2017, the organisers of the Venice International Film Festival (or Venice Biennale if you prefer) announced that actress Annette Bening would be acting as the jury president. Yes folks, it’s that time of year again as the summer to early autumn film festivals begin to select their features and play their part in determining the outcome of that period in the motion picture calendar we call ‘awards season’. – The plot revolves around a married couple receiving some uninvited guests. – The cast includes Jennifer Lawrence, Javier Bardem, Ed Harris, Michelle Pfieffer, Kristen Wiig (change of pace given her filmography) and Domhnall Gleeson. – Industrial Light and Magic will be providing the special effects. – Chances are it’s going to be one crazy ride (based on the gruesome poster). – Clint Mansell will not be scoring this feature (whereas some of Aronofsky’s other collaborators such as cinematographer Matthew Libatique and editor Andrew Weisblum have returned to provide assistance). Instead, Johann Johansson (Theory of Everything, Arrival) will be doing the honours. The film lands in the UK on 10th November and is on the radar as a potential entrant for the Venice Film Festival (maybe as the opening film). He’s back behind the camera. After underwhelming with Monuments Men, George Clooney takes the director’s chair once again with comedic crime mystery Suburbicon, a venture penned by the Coen Brothers (with Clooney and writing partner Grant Heslov providing rewrites). The plot sounds simple: a home invasion rattles a community but, in typical Coen fashion (according to those who read the script), a lot of odd stuff goes on from there. Under Clooney’s direction will be Matt Damon, Julianne Moore, Oscar Isaac and Josh Brolin with Alexandre Desplat providing the score, Paul Thomas Anderson collaborator Robert Elswit lensing the feature and Stephen Mirrione reuniting with Clooney for editing duties. Chances are we could be seeing this being screened in Venice (competing with Mother! for the honour of opening the festival), given Clooney’s a regular face there. If you can’t make it to Italy, the film will arrive in the UK on 24th November. Watch out Marvel and DC, the Norwegians are coming. Yes, you heard correctly; coming our way is a Norwegian superhero movie from the writer-director duo of Oslo, 31st August. Or rather it’s a psychological horror movie which the trailers have dressed up to look like one, I think. The movie concerns a student named Thelma who moves to Oslo, falls in love and discovers she has inexplicable powers. The UK distributor and release have yet to be confirmed, but chances are it will screen in Venice as part of the competition (however, we in the UK may have to wait until 2018 to see the film, as is often the case with Venice entries). Indie darling Richard Linklater has answered the call of Amazon and come aboard to direct a ‘spiritual’ sequel to the 1973 Hal Ashby feature The Last Detail (or rather, an adaptation of the 2005 follow-up to the original novel). 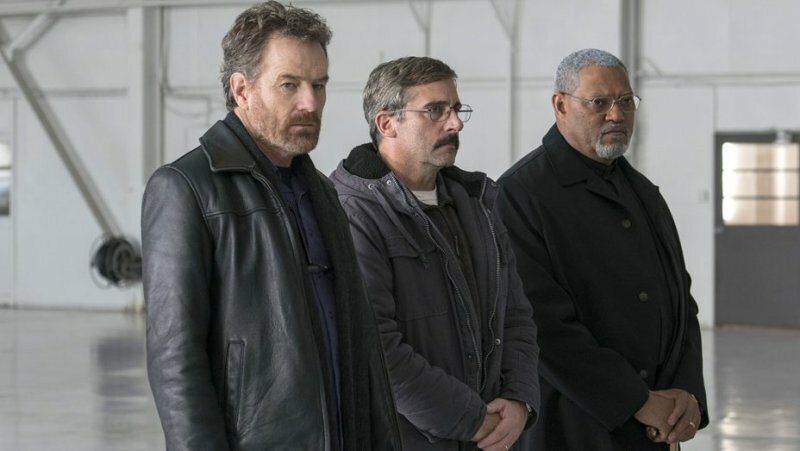 In tow are Bryan Cranston taking up Jack Nicholson’s mantel as ‘Badass’ Buddusky (renamed Sal Nealon for this feature) with Steve Carrell and Laurence Fishburne (taking over from Otis Young as Mueller). The plot is unknown at the time, but the original novel focused on an aged Buddusky in December 2003 during the time of the Iraq War. This is a potential Venice screener (in which category I do not know), but the UK distributor and release date are yet to be confirmed. After two demonstrations in grandiose spectacle, Guillermo Del Toro seems to have scaled back in scope for the Cold War sci-fi love story The Shape of Water, in which a lab worker (Sally Hawkins) falls in love with a merman (Doug Jones once again providing Del Toro’s creature). Also in the cast are Octavia Spencer, Michael Shannon, Richard Jenkins and (fresh off his one scene wonder in Call Me by Your Name) Michael Stuhlbarg, with Game of Thrones scribe Vanessa Taylor co-writing the screenplay with Del Toro and, like one of our previous entries, Alexandre Desplat providing the score. The film’s trailer is poised to be shown before War for the Planet of the Apes and there is talk of a spot at Venice or one of the other festivals like Toronto or Telluride. A UK release date is to be confirmed, but Fox will be providing the distribution honours. After defying documentary filmmaking tropes with The Arbor and looked at working class life in The Selfish Giant, Clio Bernard is back with mystery thriller Dark River. The plot involves Alice (Mike Leigh regular Ruth Wilson) returning to her home village following the death of her father to reclaim the tenancy to the family farm. Alongside Wilson in the cast are Mark Stanley (Game of Thrones’ Grenn) and Sean Bean (let’s see if he gets through this movie alive). In the technical department, Adriano Goldman (Sin Nombre, Jane Eyre and The Crown) will be on hand with the cinematography and Harry Escott returns write the music. Film4 provided the funding, a release date in 2017 is on the cards and a competition slot in Venice seems possible. 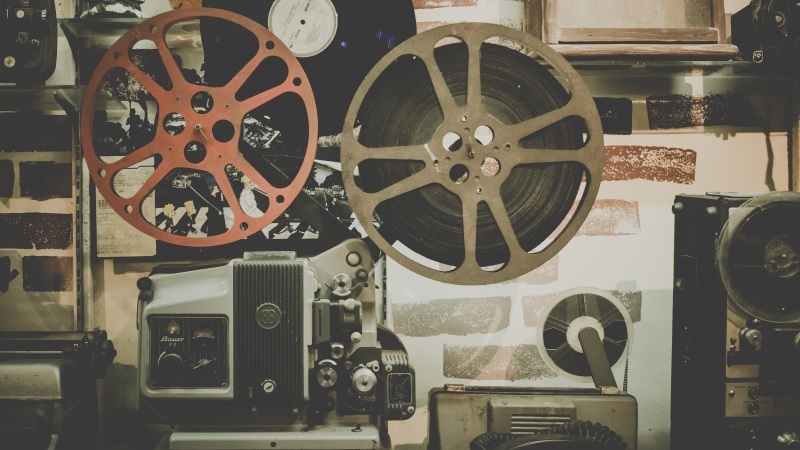 Love film? Check out the huge range of DVDs and Blu-Rays on the musicMagpie Store, all from just £1.19 with FREE delivery! Dovlatov – A biopic of author Sergei Dovlatov covering four days of his life in Leningrad in 1971. Aleksey German Jr seems to be continuing on his father’s legacy after completing Hard to be a God and becoming a filmmaker in his own right. Downsizing – Alexander Payne is back with this satirical look at business with a cast including Matt Damon, Kirsten Wiig, Christoph Waltz, Laura Dern, Jason Sudeikis and Neil Patrick Harris. Early word (based on the script) is Hong Chau could be a potential stand-out. Euphoria – A story of two sisters (Alicia Vikander and Eva Green) travelling to a mystery destination, directed by Pure and Hotel’s Lisa Langseth and co-starring Charles Dance and Vikander’s fellow 2015 Oscar nominee Charlotte Rampling. Face – Another anatomy-based film from Polish filmmaker Malgorzata Szumowska, following on from her Berlin win for her previous feature Body. Grain – Another food-based film from Turkish director Semih Kaplanoglu. With this and his other features Egg, Milk (no, not that one) and the Golden Bear winning Honey, part of his filmography does read like a shopping list. Les Gardiennes – A WWI drama from Of Gods and Men director Xavier Beauvois. Mary Shelley – An examination of the love affair between Frankenstein author Mary Shelley and her husband Percy, featuring a range of young names (including Elle Fanning, Maisie Williams and Bel Powley), all under the direction of Wadjda’s Haifaa Al-Mansour, with the film also serving as the writing debut of Emma Jensen. Racer and the Jailbird – A tragic love story of a racing driver and a gangster from Bullhead’s Michaël R. Roskam with Matthias Schoenaerts and Blue is the Warmest Colour’s Adèle Exarchopoulos in the lead roles. Suspiria – While he’s riding the critical acclaim of Call Me by Your Name, Luca Guidagnino looks set to be bringing his remake of Dario Argento’s 1977 horror classic to Venice with him. The Third Murder – He’s wowed us with Nobody Knows, Still Walking and numerous other features, now Hirokazu Koreeda returns with a murder mystery. Interesting change of pace from Japan’s answer to Ken Loach. Una questione private – The latest feature from the Taviani Brothers. Under the Silver Lake – David Robert Mitchell’s neo-noir follow-up to It Follows with Andrew Garfield, Riley Keough (American Honey) and Topher Grace headlining. When the Waves Are Gone – Last year’s Golden Lion winner Lav Diaz (The Woman Who Left) is back. That’s all I know about that. Work Without Author – Returning to the GDR, let’s see if this Cold War thriller from The Lives of Others helmsman Florian Henckel von Donnersmarck can wash away the bad taste The Tourist left in our mouths at the start of the decade. Zama – An adaptation of the 1965 novel from Argentine art house director Lucrecia Martel (La Ciénaga, The Holy Girl and The Headless Woman). Sounds promising enough.